WHAT WE DO | When disaster strikes, chaos immediately follows. The people impacted by a disaster are often overwhelmed by the sudden loss of property and even life. Within minutes, a disaster can destroy or jeopardize access to our most basic needs — shelter, food, water, and sanitation. Our Go Beyond Disaster Response Team stands ready to respond to short-term emergencies and the long-term ramifications of disasters. We are ready to be the hands and feet of Jesus in times of greatest need. 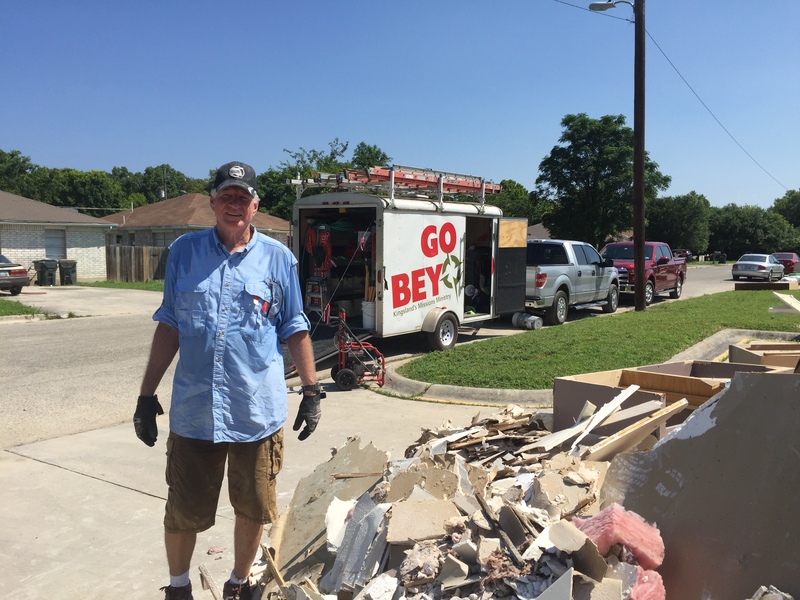 OUR LEADER | Monte Vincent serves as Coordinator of our Go Beyond Disaster Response Team. Monte has a wealth of experience in volunteer management, logistics, and response to global disasters. He understands how to mobilize volunteers to provide high-impact disaster relief and rehabilitation. He also understands that our response to emergencies and disasters must include caring for those individuals whose lives have been turned upside down. HOW YOU CAN JOIN | If you are interested in learning more about how you can join our team, please begin by completing our brief online survey. Once you have completed the survey, we’ll be in touch and will add your name to our group to receive notifications about training, mobilization, and response. Thank you for your interest, involvement, and determination to serve others in times of their greatest need. Would you prefer that potential team members live in Greater Houston – Southeast Texas? Not necessarily. You can join us from wherever you live. Some situations may require specific training which we will offer team members. Send me an email with your info and I will pass along to our coordinator. I filled out a form, but not sure you got it. Hi Paul. Did not get it. Please try again.